No ringing for a week and a half, and the last days winds have bleen blowing hard from the NNW. House Sparrows seems to have had a decent breeding season (first clutch at least), and the re-designed garden with new pools, exposed soil for dustbaths and a feeder has attracted a lot of attention from the "gangs" of juveniles roaming the countryside. Most nets open 06-12.30, netmeter hours approx. 1700. Ringed: Collared Dove 2, Meadow Pipit 1, Willow Warbler 1, Common Starling 1, Common Magpie 1, Western Jackdaw 1, Tree Sparrow 4, House Sparrow 71, Greenfinch 3, Lesser Redpoll 1. Total = 86. Also 12 controls, including a Greenfinch with a Danish ring. 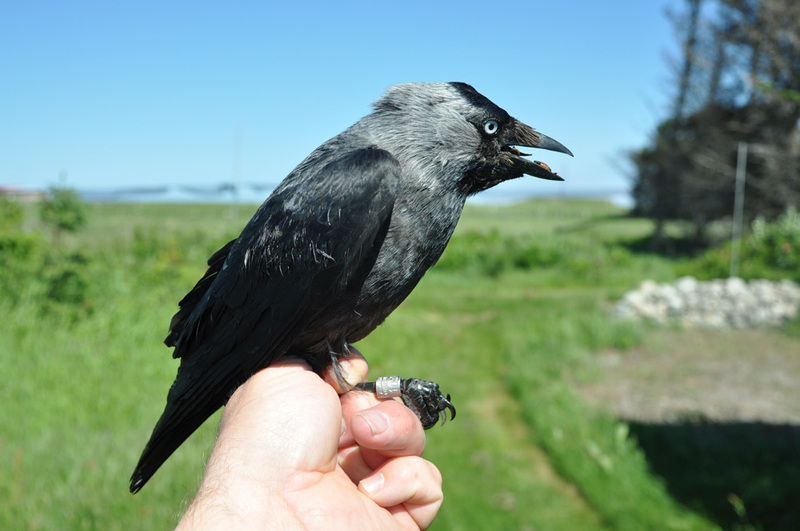 A rare catch: This is only the second Western Jackdaw ringed at Revtangen BO, the last one was in October 1981. Kaie. Ringmerket: Tyrkerdue 2, heipiplerke 1, løvsanger 1, stær 1, skjære 1, kaie 1, pilfink 4, gråspurv 71, grønnfink 3, brunsisik 1. Også 12 kontroller, inkludert en danskmerket grønnfink. 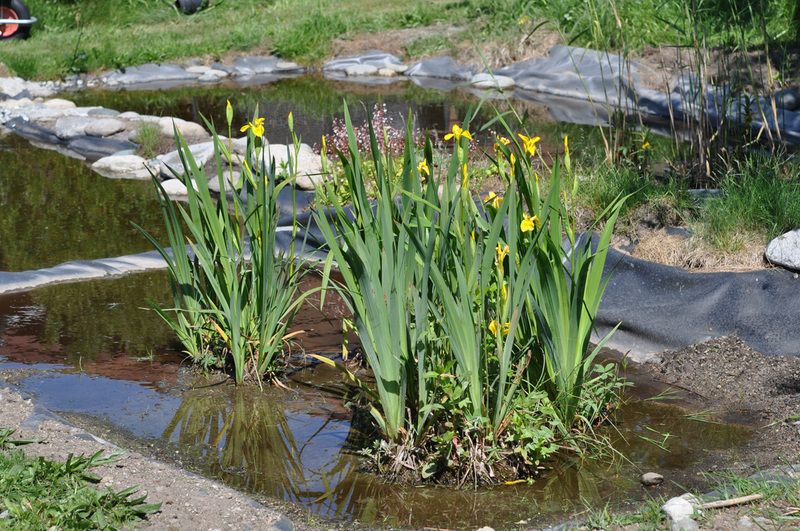 The Yellow Iris (Iris pseudacorus) we planted in one of the new ponds are doing good, and now in full bloom. Sverdlilje.